SOCHI, Russia (AP) — Rescue workers on Tuesday found a flight recorder from the Russian military plane that crashed into the Black Sea over the weekend, the defense ministry said. All 92 people aboard the Tu-154 plane are believed to have died Sunday morning when it crashed two minutes after taking off from the southern Russian city of Sochi. The 84 passengers included dozens of singers from Russia's world-famous military choir who were going to the Russian Air Force base in Syria to perform at a New Year's concert. The defense ministry said in a statement that one of the flight recorders was found early Tuesday morning about a mile away from the shore. State television showed footage of rescue workers on an inflatable boat carrying a container with a bright orange object submerged in water. The ministry said later on Tuesday that the black box was flown to a ministry laboratory outside Moscow and at first examination it did not appear to be seriously damaged. It was not immediately clear when the data from the black box would be available but Magomed Tolboyev, a decorated Russian test pilot, told the Interfax news agency that investigators could retrieve data from the flight recorder later in the day. Mourners on Tuesday continued to bring flowers to the pier of Sochi's sea port as 3,500 people, 45 ships and 192 divers swept the vast crash site for bodies of the victims and debris. Rescue teams so far have recovered 12 bodies and numerous body fragments, which have been flown to Moscow for identification. Divers found fragments of the fuselage, parts of the engine and various mechanical parts overnight, the defense ministry said. Officials still have not announced the cause of the crash, but they have been anxious to squelch speculation that it might have been caused by a bomb planted on board or a portable air defense missile. 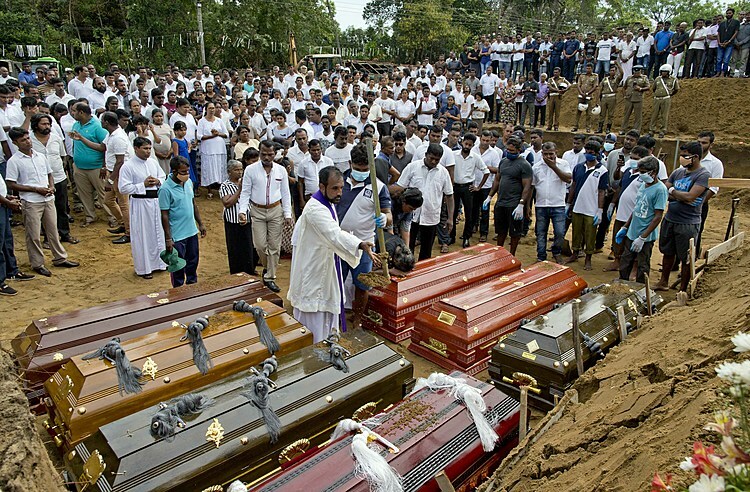 But some aviation experts have noted that the crew's failure to communicate any technical problem and the large area over which fragments of the plane were scattered point to a possible explosion on board. Russia's main domestic security and counter-terrorism agency, the FSB, said it has found "no indications or facts pointing at the possibility of a terror attack or an act of sabotage on board the plane." The FSB said that investigators are looking into bad fuel, pilot error, foreign objects stuck in the engines or equipment failure. 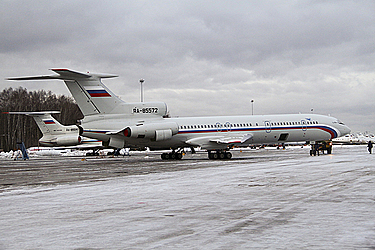 The Tu-154 is a Soviet-built three-engine airliner designed in the late 1960s. The plane that crashed Sunday was built in 1983, and underwent factory check-ups and maintenance in 2014 as well as earlier this year.